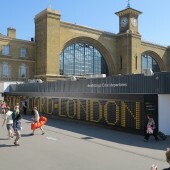 The Song Board is a multi-sensory interactive installation, located at the entrance to King’s Cross Station, engaging visitors, commuters and local residents. 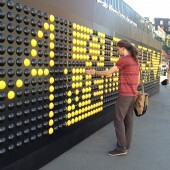 Tactile, audible and visual, the Song Board will provide a playful and memorable experience in the heart of the London, reflecting the participatory and collaborative ethos of the Olympic Games. 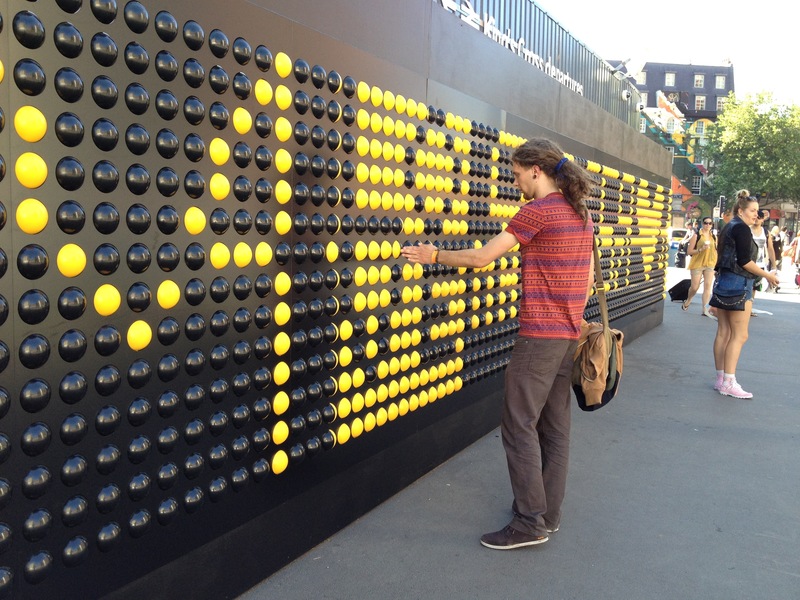 By turning spheres, users will be able to create their own patterns and sounds that form recognisable melodies. 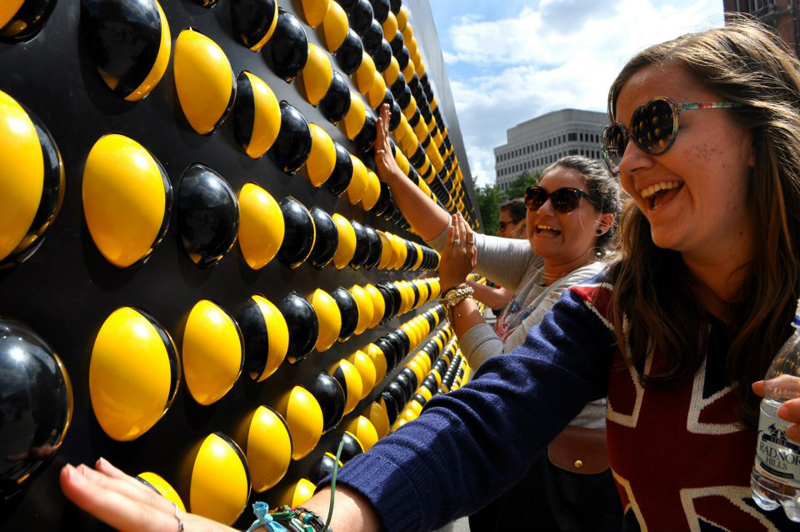 The binary matrix of black and white spheres will also allow the public to generate abstract patterns, signs and messages and provide a visually captivating feature for the passing audience. Interaction is optional and levels of engagement will vary. Some people may simply observe, while others participate. 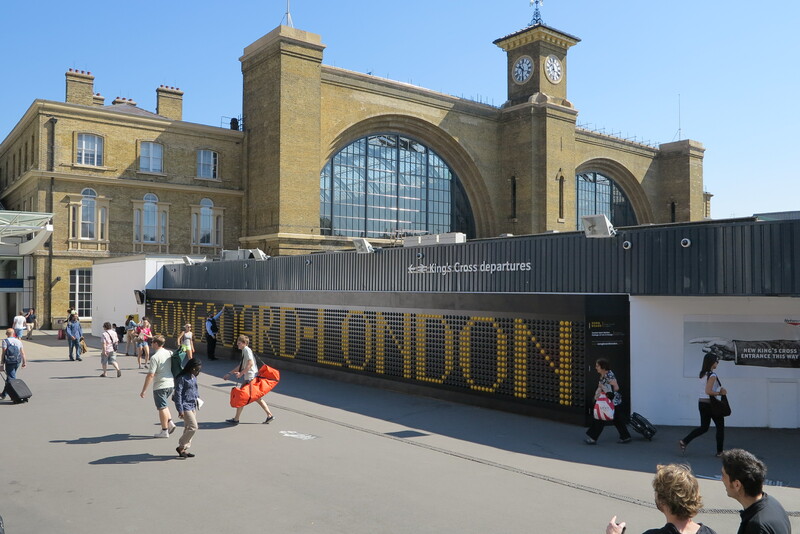 Research question: How can a temporary interactive hoarding at Kings Cross capture the spirit of the 2012 Olympic Games by actively engage passers-by?